Carlos Ghosn in extended detention, the trade war with China, those pesky “national security” threat import cars and more await you in The Morning Shift for Wednesday, Nov. 21, 2018. After being arrested on Monday after a months-long internal investigation at Nissan, Carlos Ghosn and board member Greg Kelly will be held for 10 days. The decision comes from the Tokyo District Court, according to Kyodo News and Reuters. This will give prosecutors a chance to question Ghosn without a lawyer, reports the Wall Street Journal. He is being held at the main Tokyo detention center, which is located in the northeast section of the city. After authorities make an arrest in Japan, they can interrogate the suspect for two or three days without court approval. To extend the detention for 10 days, they must seek court approval, which was granted in Mr. Ghosn’s case Wednesday. They can then seek an additional 10-day extension, after which they must release the suspect unless charges are filed. Detainees are allowed to receive visits from a lawyer, but the lawyer isn’t permitted to be present during interrogations, which often take up most of the day. As of this writing, he hasn’t been formally charged with a crime. Lebanese officials, however, “expressed concerns over the motives” over Ghosn’s arrest, reports the Daily Star. The Foreign Minister tapped its envoy to Japan and asked it to contact and meet up with the chairman. Ghosn was arrested in Japan on Monday after allegations of under-reporting his income and personal use of company funds came to light from an internal whistleblower report. He supposedly under-reported almost 5 billion yen, or approximately $88.6 million, starting in 2011. The trade war between the U.S and China is ongoing. But a new report from the U.S. accuses China of carrying on a state-backed intellectual property and technology theft endeavor. This report, deemed “hawkish,” was released ahead of the upcoming G20 summit in Argentina. It seems that the U.S. believes that the report will offer it an opportunity to negotiate trade deals with China. China, in turn, says that it “firmly protects” IP rights. We’ll see how everything turns out. The trade war is hitting automakers hard. And now, three CEOs of different German carmakers have reportedly been invited to meet with Donald Trump so they can try to negotiate a new trade agreement. Unnamed sources familiar with the issue told Bloomberg that there are tentative plans for the President to meet with the heads of BMW, Daimler and Volkswagen after Thanksgiving to discuss trade. The three are first meeting with the German government in Berlin before consulting with Trump officials. For the U.S. president, the talks could be a way to push the European Union toward a broader trade deal. Discussions between Washington and Brussels have bogged down recently as the U.S. threatens tariffs on auto imports and the EU warns of imposing a digital services tax that could hit technology companies from Apple Inc. to Amazon.com Inc. This is all following the belief that import cars are a threat to “national security” and that a tariff is the best way to protect American interests. Nevermind that a huge number of import cars are actually built here! Anyway, we’ll see if they wind up meeting and, if they do, what they decide. Ghosn’s arrest has seriously affected the other companies he is currently heading up. It seems like everyone was completely blindsided by this and now they’re scrambling. What to do with Ghosn? What to do with Renault? What about the Alliance??? Here’s a run-through. Mitsubishi put out a statement this week in response to the arrest. It has recommended to its board of directors to remove him from his position as Chairman and Representative Director quickly. 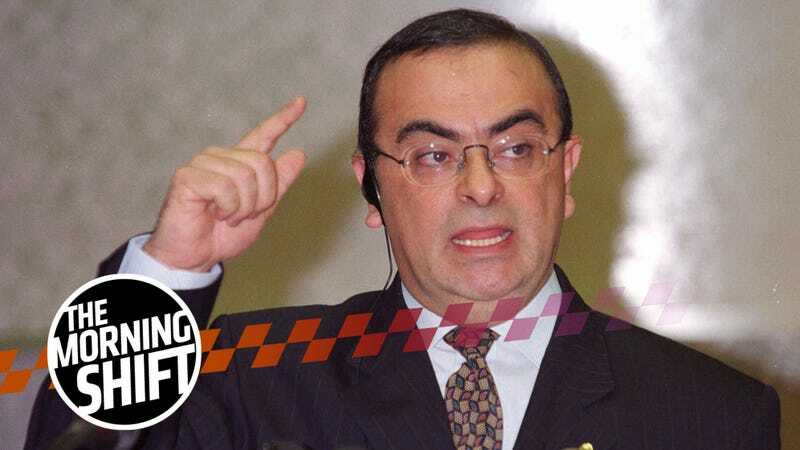 The company also said that it’s conducting its own internal investigation to see whether Ghosn engaged in any misconduct while at Mitsubishi. Japan thinks that, despite the Ghosn trouble, Nissan, Renault and Mitsubishi should try and keep up a “stable alliance,” according to Reuters. France, the country, has a 15 percent stake in Renault, in case you were not aware. That means that France, the country, also has a massive stake in what happens to the Renault-Nissan Alliance, seeing as how it strongly favors Renault, and thus, the French state. And because of that, France would very much like to see this whole Renault-Nissan thing continue, if for nothing else that it gives France a very big say on what goes on at a major Japanese automaker. Innocent until proven guilty, say the French. And it’s also probably fiercely looking out for its own interests, too. Next month, BMW is launching a ride-hailing service in China, reports Reuters. It will be the first global carmaker to get a license to do so in the Chinese market. Didi Chuxing, a Chinese company, currently holds 90 percent of all bookings, a consulting firm told the outlet. Altogether, China’s ride-hailing market is worth $23 billion. China is where the money’s at. For now, at least. Neutral: This Is Probably Just the Beginning, Right? Ghosn and Kelly can’t be the only ones involved, right? There’s gotta be other people. Do you think this is the beginning of something long, drawn-out and ugly?